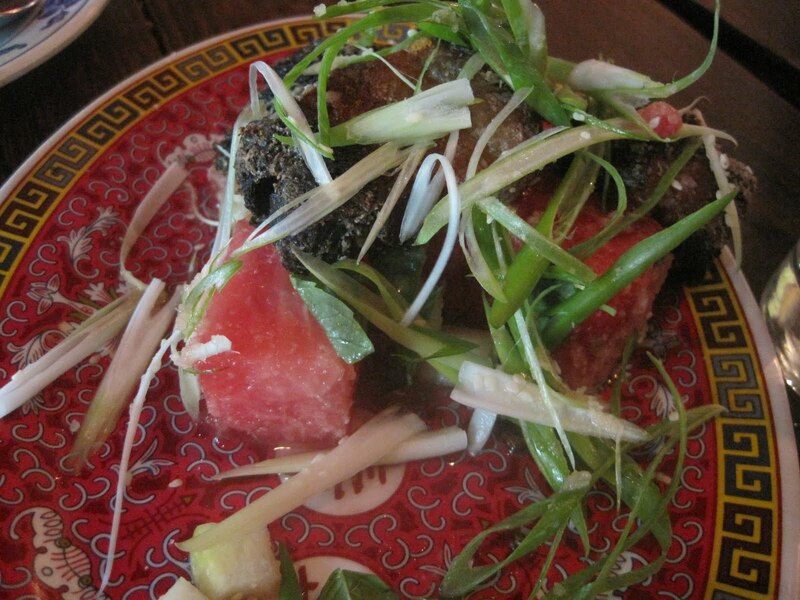 Went out last week with my friend to try Fatty Crab on Hudson Street. We were seated very quickly, but the wait to order food was a bit long. Perhaps it was because it was early Saturday, but they only had one waiter? 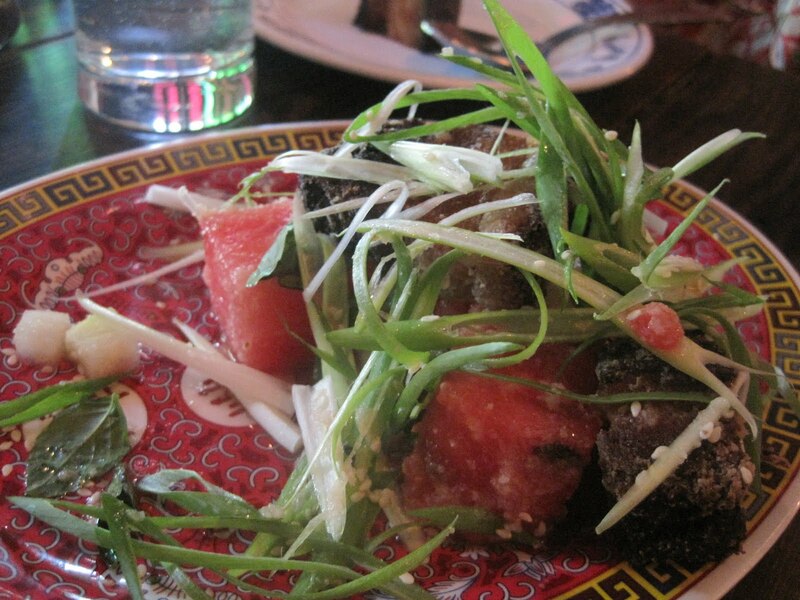 We ordered the Pickled Watermelon and Crispy Pork Salad. It was really different and quite delectable and refreshing. 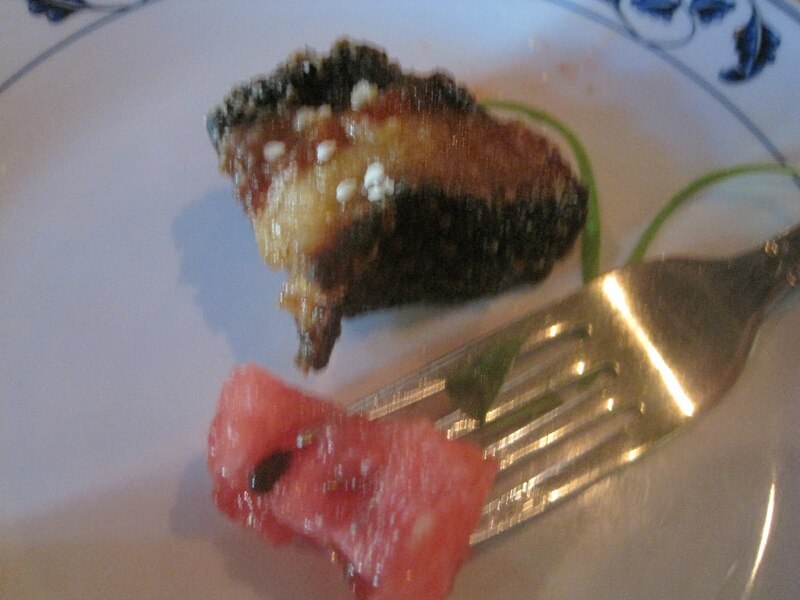 The watermelon cubes were flavored with some herb (sorry for the non-description, couldn’t place the flavor, should have asked the waiter!). The pork was really delicious. Crispy on the outside, and fatty, melty lard in the center. I usually don’t enjoy fatty pork, but this was melt-in-your-mouth delicious. We also ordered soft shell crab – it was good but not amazing, and a duck dish. The roasted duck was decent, but the sauce that was drizzled on the rice was way too sweet. I thought the restaurant was a bit overpriced, but I’d definitely recommend the salad!